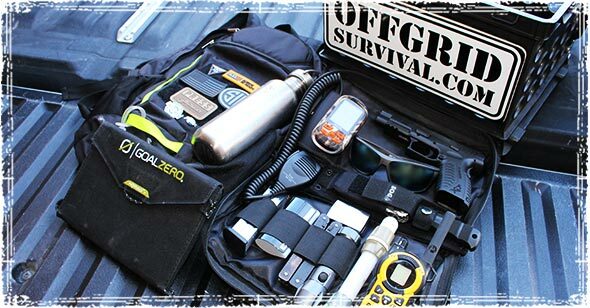 Most of you, especially if you have been following this site for a while, have probably heard of a Bug out Bag. 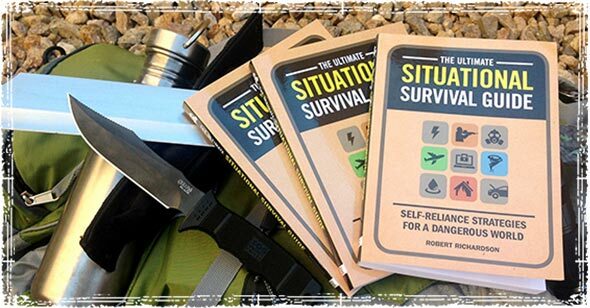 In fact, go to almost any survival website and you are likely to read something about them; unfortunately, there is another bag that’s rarely talked about: The Get Home Bag. A Get Home Bag, is basically another take on the bug out bag, but serves the opposite purpose. With a Bug Out Bag you are often packing for an evacuation; some sort of disaster that causes you to leave your primary residence. But when it comes to Get Home Bags, your main purpose is having the supplies you need to safely make it home during a crisis or disaster situation. Do you really need both types of bags? The fact is, many of us spend a large portion of our time away from home; and since there’s no good way to predict exactly when and where a disaster will hit, the need for something like a Get Home Bag just makes sense. In my opinion, everyone in your family should have a good Get Home Bag. Whether you work at an office, spend your time at school, or spend your time running around doing errands for your family, when disaster hits you need to be able to respond immediately. Having emergency supplies with you can help you do just that. What threats will you face when trying to make your way home during a disaster? Will you be walking or traveling through dangerous neighborhoods? People may become one of your top threat considerations when trying to move from point A to point B. Do you have a plan to deal with those looking to target innocent victims? How far do you normally travel from home on a daily basis? Are you physically fit enough to make it home if you have to walk? 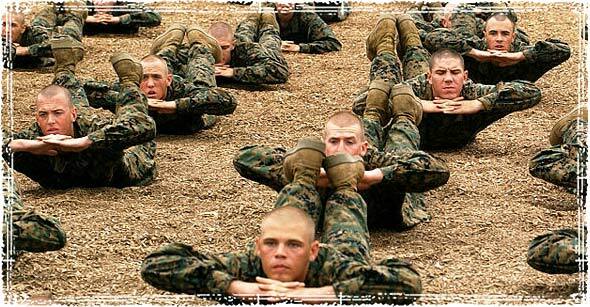 Article after article has been written on survival gear, evacuation planning, and pretty much any survival topic you can think of; but something that’s rarely talked about is physical fitness. In a disaster situation, one where you find yourself stuck miles away from home with no other option but to walk, physical fitness is quickly going to become one of the most important factors in whether or not you make it home in one piece. 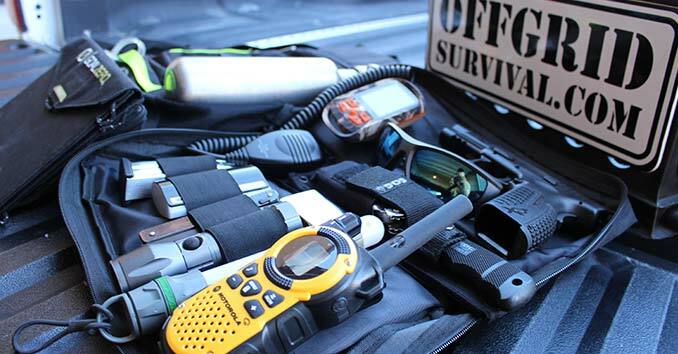 Another overlooked area when packing a Get Home Bag is often communication gear, something that is vitally important during any disaster situation. The ability to call out, and or gather real-time information relating to the threat is essential to your ability to safely make it home. Cell Phones: A cell phone is an obvious first step, but it’s also something that’s likely to fail first during a large-scale disaster. Police Scanner Apps: If you carry a smartphone, you should head over to your app store and find a good police scanner app. These apps can give you direct access to local police broadcasts, giving you the ability to stay away from danger zones. Portable Radios: A small portable A.M. / Emergency radio with headphones is something that you should consider carrying. Keeping an ear on local news reports and emergency broadcasts can help you stay one step ahead of the threat, and will allow you to make changes on the fly. 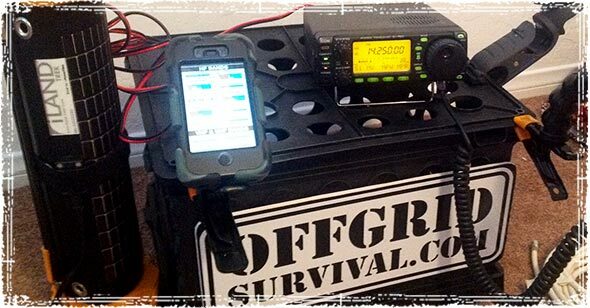 2 Meter Ham Radio: For localized disasters, where cell towers are down and traditional methods of communication have failed, there is no better tool than a good 2 Meter Radio. If you haven’t looked into the many survival benefits of Ham Radio, I advise you seriously considering the benefits. Having a bag full of emergency gear is great; but if you don’t have a plan, that bag might as well be filled with rocks. Type of disaster you’re preparing for. your geographical location and environmental concerns. medical needs, or supplies for younger children. most likely threats or dangers you will face on your way home. and a variety of other factors that are unique to your family and situation. You need to have your routes planned out. Your plan should take into account how each member of your group or family will make it home during a disaster. This means having multiple routes, and contingency plans. Don’t forget a way to buy yourself out of trouble. Most Special Forces carry cash for the environment they’re working in. During a disaster, it just makes sense to have some emergency cash to help “buy your way out” of a sticky situation. Ability to purchase gas, extra supplies or food when electronic payments go down. Ability to rent a hotel room, in case things don’t go as planned. Ability to pay someone to give you a ride out. What Specific Gear should be in your Get Home Bag? When it comes to choosing gear, there is no one-size-fits-all solution. That being said, there are some categories that everyone should have covered. WATER: Water is probably one of the most important things you need to consider when packing an emergency get home bag. At the very least, you need to have a couple bottles of water. If you have the room, and can afford the extra weight, I advise carrying a couple steel canteens, as well as a small emergency water purifier or purification tablets. FOOD: Depending on the disaster, you may have to do some walking. That means you’re going to need some extra energy. High protein, nutrient rich foods like trail mix, protein bars and nuts are all great items to stash away in your bag. PERSONAL DEFENSE: During most disasters, there’s a certain segment of the population that loves to prey on the innocent. Disaster after disaster shows us how vitally important it is to be prepared to face these dangers. A firearm and other personal safety devices should be on the top of the list of gear considerations. MAPS & ROUTE PLANS: A good detailed map including multiple routes home, areas to resupply, and areas to avoid is something that should be in everyone’s Get Home Bag. When traveling to new areas, make sure to update these plans. Yep… as I stated in the article cell service will likely be the first thing to go out so keep that in mind when relying on anything that relies on a grid. Most of these apps are completely free though, so they are a good option to have. If it does go out no real lose. Also many 2 meter radios will pick up some emergency bands. Please allow me to add something to this. The little Baofeng and Wouxon Radios are dual band, and will pick nearly ALL of the police, fire and medical frequencies and can often be had for $70.00 to $100.00. While you need a Ham license to legally transmit on them, they ARE legal to own and listen to. I’m not disputing two meter radios-but I AM saying that more and more public service/government entities are moving away from VHF to other parts of the spectrum. This demands having a newer radio with wider receiving options. Actually android based cell phone and tablets WILL still work without the network online for some things. If an app requires cell service or wifi You won’t be able to call anyone but you can still run apps including mapping stuff. As long as GPS sats are still active those mapping programs will also still function in tracking mode. Been working on my bag for a couple of years, one thing about a scanner is look a ones that run at 800Mz with digital and portable, had mine for a long time and it goes everywhere with me. The smart phone police scanners APS are not live. It said real stream, not real transition. Many repeaters have same back up power as cell phone towers. Not true about the scanner feed not being live. I had a family member involved in an incident and I was able to listen live from 400 miles away. I use 5.0 Radio to listen to the police and Fire/EMS when they are on calls in my complex. It is certainly real time. Kids at school will not be able to have ANY kid of weapon in their backpack… so make sure they know how to use pens and pencils as a defensive weapon. What kind of bag is that with the XDm? It kinda looks like a bi-fold pistol case but I can’t tell. Mind sharing the make/model? No, the Sawyer Mini is rated for 100,000 gallons. I like that you mentioned packing high-protein, nutrient-rich foods like trail mix and protein bars. I’m planning on going camping in a few weeks with my son, and I want to make sure we’re fully prepared. Thanks for the information!